It’s often assumed that some people are born with creativity while others are not. Or that we have it, but only occasionally, as though we are catching a rare butterfly. But we’re all born with creativity, and we can access it at any time. So the question isn’t how to catch it – it’s how to feed it. 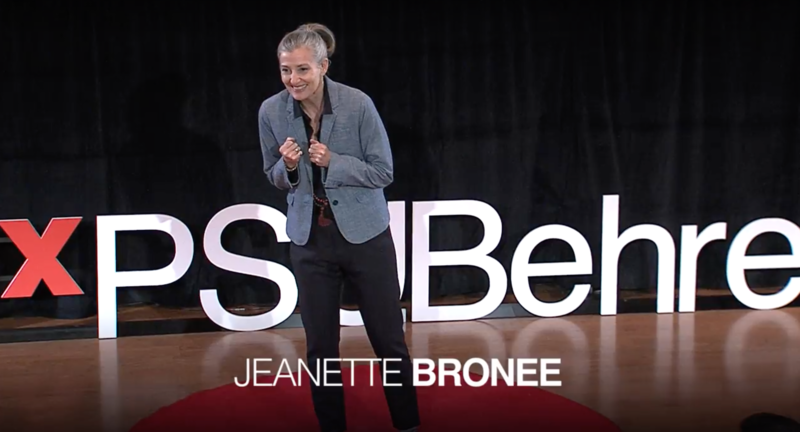 Jeanette Bronée is a nourishment expert who teaches how to find a new relationship with our food, our bodies and our nourishment to help us harness the creativity and wisdom deep within us. She shows how pausing for just a moment and sensing into our bodies can help us change our minds. She teaches people to focus on the “why” rather than getting stuck in the “what” we do, illustrating why mindfulness matters to help us boost not creativity and productivity. Jeanette coaches and provides motivational business keynote speeches about why we need nourishment to perform and thrive—and how to do it better. She is a Certified Integrative Nutrition & Meta-Medicine® Health Coach, Mind-Body Medicine Practitioner, Felt-Sense Focusing Teacher & Ericksonian Hypnotherapist. Jeanette Bronée is a Nourishment Expert who focuses on finding a new relationship with our own bodies, our food and our nourishment to guide us in harnessing the creativity and wisdom that we long for in our daily lives. She explores how we perform and thrive better in a busy world, where distraction and multi-tasking make us feel productive, yet keep us from being effective. She provides insights to why mindfulness matters, and how we can use food as a tool to connect and align ourselves with our true wisdom—the one that lives within.